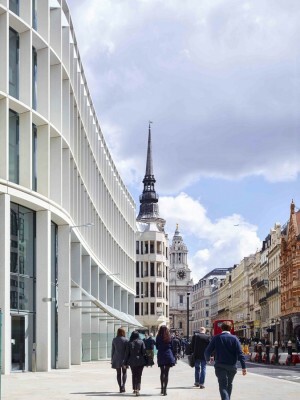 New Ludgate is the transformation of a City block into a generous and lively new quarter near St Paul’s Cathedral in London. 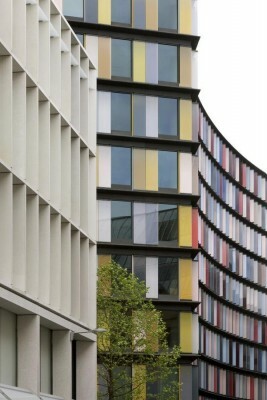 The new development designed by Fletcher Priest, Sauerbruch Hutton and Gustafson Porter sets up a dialogue between two striking and complementary new buildings whilst reinstating and improving the public realm of the entire area including a new pedestrian route and public square or piazza. 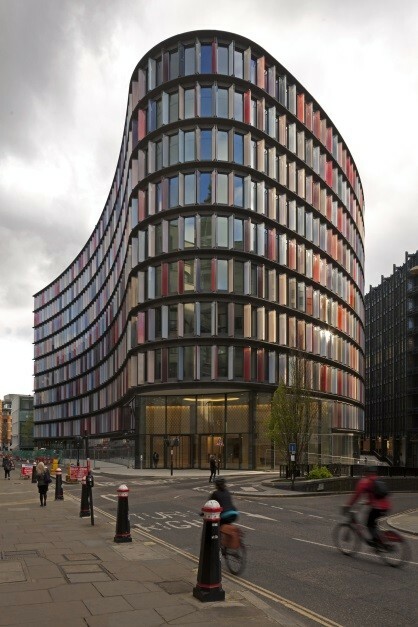 Fletcher Priest was asked to masterplan the site by client Land Securities, separating it into two buildings – 1 New Ludgate, designed by Fletcher Priest and 2 New Ludgate to the north, designed by Sauerbruch Hutton. The two practices collaborated to create a new pedestrian route through the site that leads to an urban square or piazza to the east. 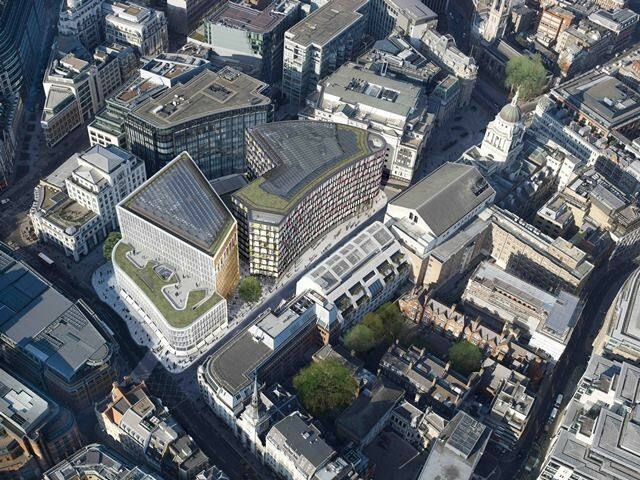 Gustafson Porter were asked to provide the landscape treatment of this new public realm which ties the new development seamlessly into the surrounding urban fabric whilst giving an unmistakable character to New Ludgate as a whole. A bold geometric paving pattern leads pedestrians to a new focal point at the centre of the public square, the centrepiece of which is a mature Tulip tree. Around the site Fletcher Priest have repaired and improved the street lines, grades and views, including the processional route to St Paul’s. 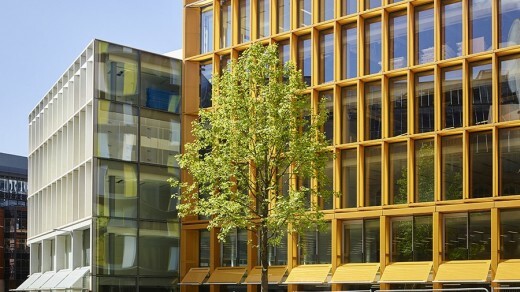 The positioning of street furniture and trees by Gustafson Porter, increases the sense of space and creates a new meeting and gathering place in the lively City. 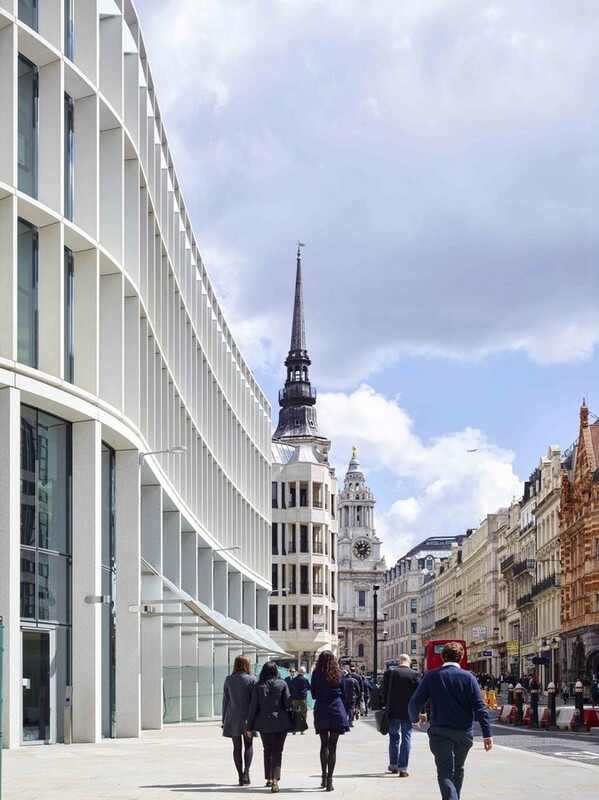 1 New Ludgate comprises nine storeys, plus a ground floor animated by retail and bars under glass awnings using a façade of a masonry grid that provides shade. 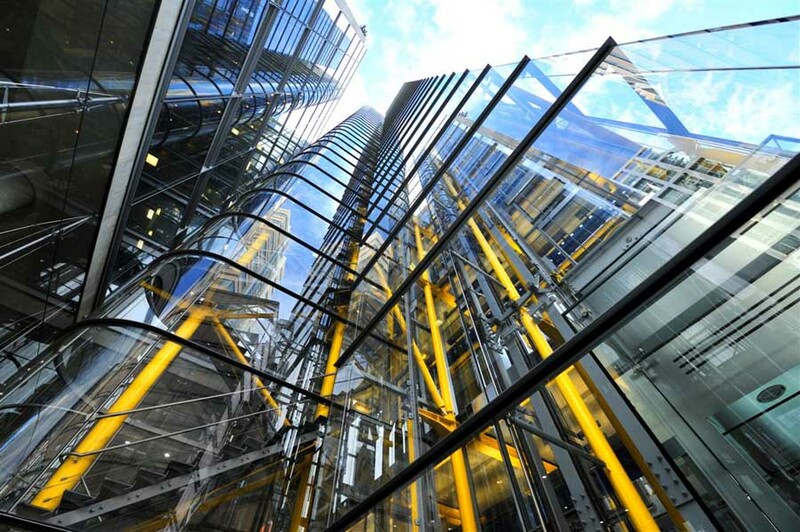 White precast concrete frames, simply detailed, respect their neighbours and set off the floor-to-ceiling glazing, while amber Kathedral glass fins are used on the piazza façade in the new public space. The building boasts extensive external private space accessible from every office floor. This includes a loggia and a substantial south-facing terrace that provides uninterrupted views towards St Paul’s Cathedral. This terrace features a curvilinear white bench with colourful bands of perennial plants mixed with ornamental grasses in loose, natural arrangements. Plants are grouped together according to colour and form. Bands of yellow flowering evergreen Euphorbias contrast with the tall blue flowering spikes of Erynginum, Echinopsis and Aster; low hummocks of flowering Thyme are seen against the towering purple balls of Alliums, all framed by the plumes of tall ornamental grasses. Designed by Sauerbruch Hutton, 2 New Ludgate offers high quality, up-to date office space with a restaurant and retail areas. It is a building that combines a respectful urban attitude towards its historic situation with self-confident articulation of space and surfaces that speaks of today. 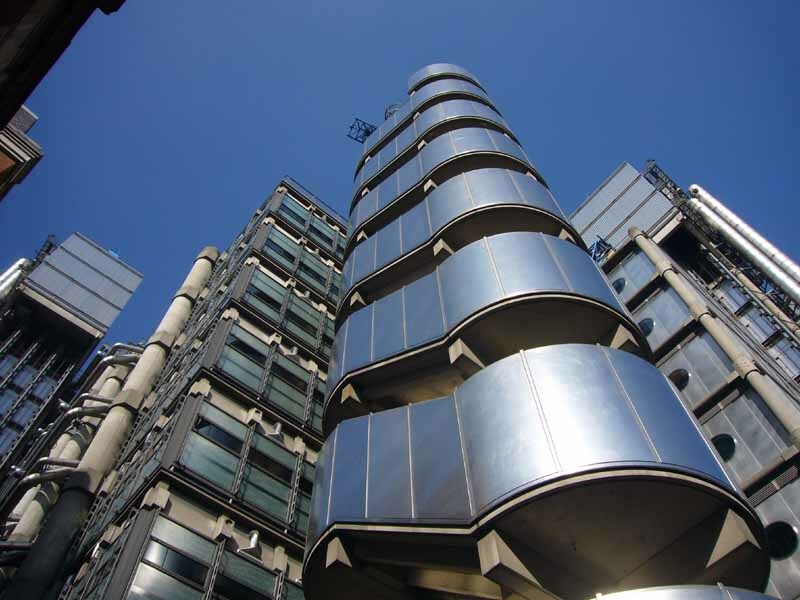 The street space of Limeburner Lane is charged with a taut concave building skin, while opposite the Old Bailey the building steps back in a gentle concave gesture that ends in the urban square to the south. At the northern end a rounded “bullnose” front ties the two curves together into a building body that is strong and dynamic. 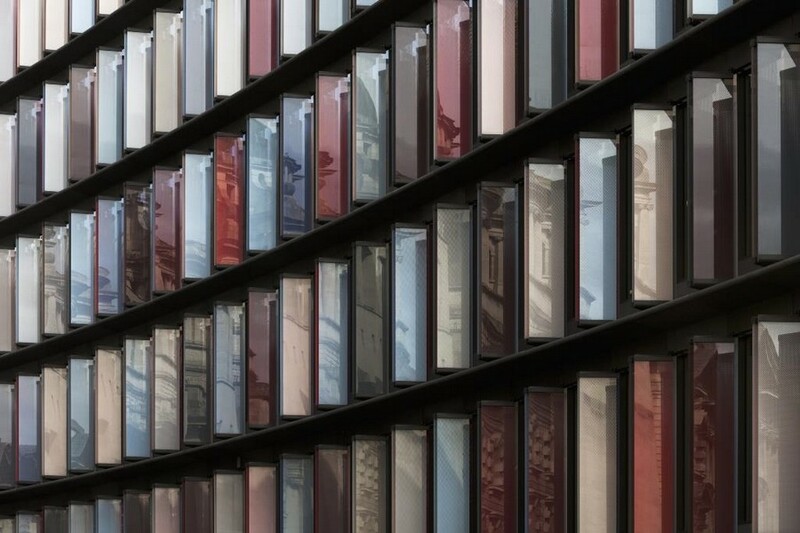 Parallel horizontal lines and a sequence of ever changing polychromatic glass shutters emphasise and articulate the flowing geometries. 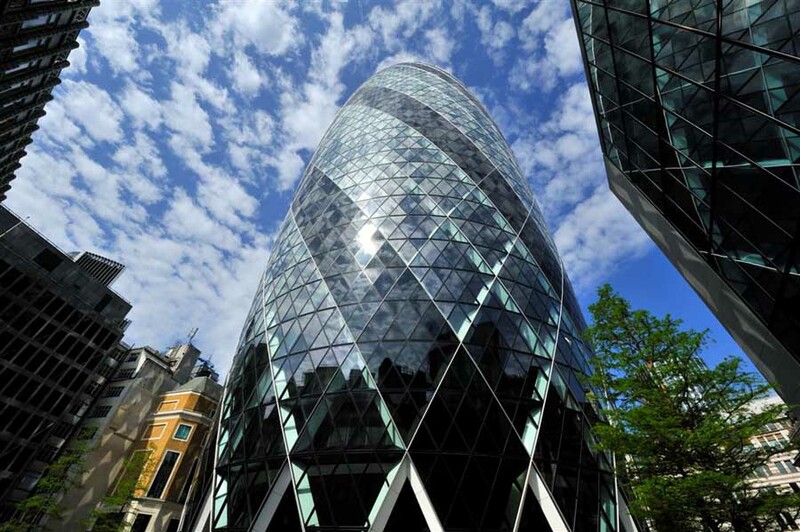 Towards the south, however, a dramatic 12m wide and 40m tall elevation initiates a series of cranked façades that zigzag from east to west articulating the opening up of the block. 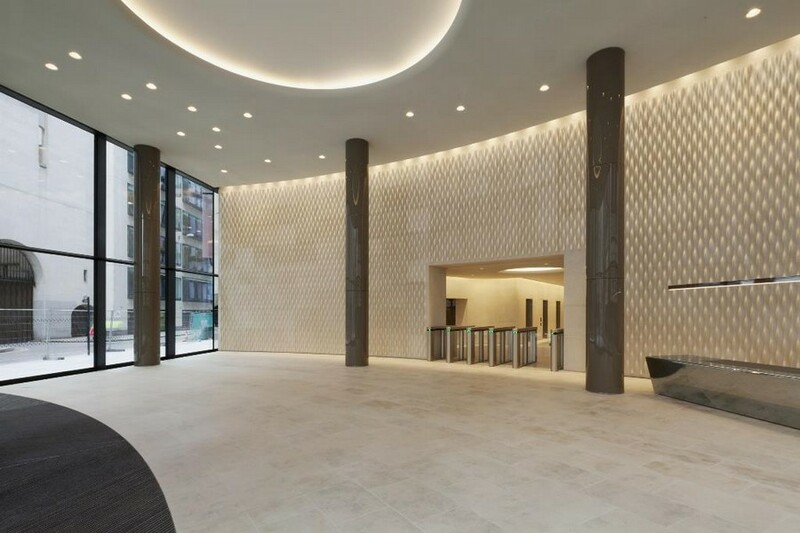 A generously glazed double-height entrance hall continues the space of the street into the building, its wall of textured Portland Stone creating a dialogue with the Old Bailey opposite. 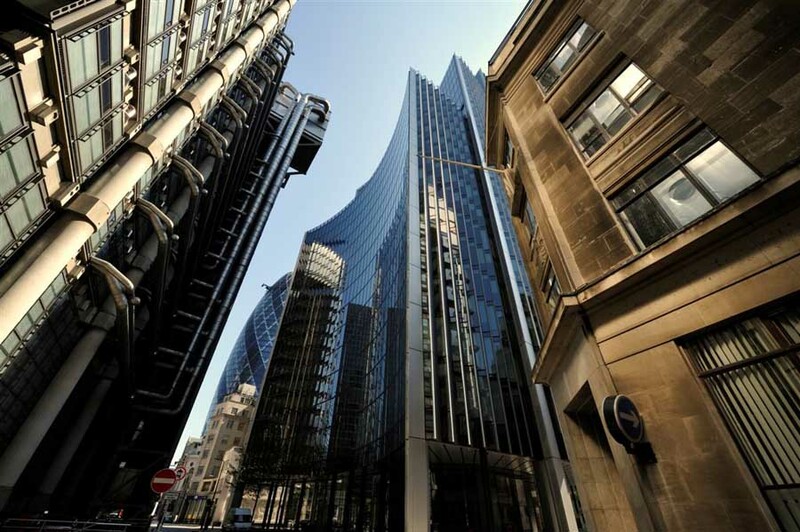 The upper floors offer flexible offices with large sweeps of space that are generally 11m deep. A roof terrace gives outstanding views towards St Paul’s Cathedral.